Half a dozen years ago, anthropologist Gabriella Coleman set out to study the rise of this global phenomenon just as some of its members were turning to political protest and dangerous disruption (before Anonymous shot to fame as a key player in the battles over WikiLeaks, the Arab Spring, and Occupy Wall Street). She ended up becoming so closely connected to Anonymous that the tricky story of her insideÃ¢ÂÂoutside status as Anon confidante, interpreter, and erstwhile mouthpiece forms one of the themes of this witty and entirely engrossing book. 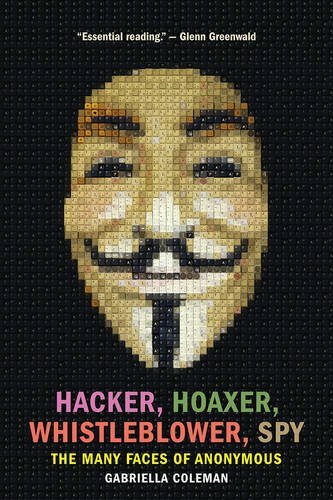 About: Here is the ultimate book on the worldwide movement of hackers, pranksters, and activists that operates under the non-name Anonymous, by the writer the Huffington Post says “knows all of Anonymous’ deepest, darkest secrets. With John Kirkland Wrught | from Amer Geographical Society (June 1, 1952); titled "Geography in the Making: The American Geographical Society"
About: Here is the ultimate book on the worldwide movement of hackers, pranksters, and activists that operates under the non-name Anonymous, by the writer the Huffington Post says âknows all of Anonymousâ deepest, darkest secrets. With Giles A. Lutz | Reissue edition from Ace Books (June 1, 1987); titled "Nemesis of Circle A"